A CHINESE STADIUM full of eager fans, cheer sticks in hand and a roar on their lips. Special lights and pyrotechnics. A stage in the middle, a pop star and an augmented reality dragon. Also, reportedly, more than 60 million watching at home. Forgive the casual fan for thinking this was a Guns N’ Roses concert. Or, a Floyd Mayweather bout. It wasn’t. It was a bunch of bespectacled boys playing a video game at a tournament. The 2017 League of Legends World Championship, to be specific. 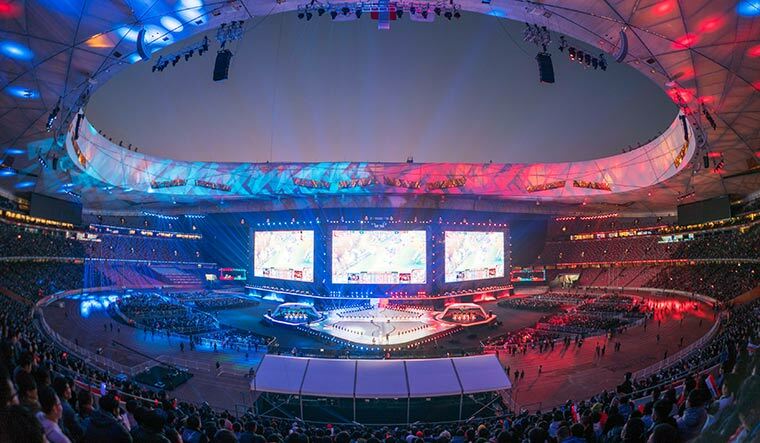 According to ESPN, 427 million people will be watching eSports by 2019. Twitch, an Amazon-owned website that live-streams gaming tournaments, has 100 million monthly visitors. To an eSports fan, this would seem normal. To the outsider, the fanfare would be bewildering. Almost as if there was an elaborate inside joke that they didn’t get. How else would you explain such a massive following for what seems essentially a pastime for bored children. To be fair, eSports has been taking big strides in the past several years. It is estimated to be a $1 billion industry and is deeply entrenched in pop culture. Remember the France-Argentina match in the recent FIFA World Cup? After Antoine Griezmann converted a spot kick to give France the lead, he jogged towards the crowd, prepared himself, and broke into his signature “Take the L” dance. It was meant to taunt the opposition, and he got it from Fortnite, probably the most viral video game in the world right now. Speaking of the World Cup, the FIFA eWorld Cup just wrapped up at the O2 Arena in London. As many as 32 players from around the world played FIFA 2018, the video game, and the Saudi Arabian player Mosaad Aldossary walked away with the championship and $250,000. It is owing to this popularity that eSports finds a place at the upcoming Asian Games in Indonesia, albeit as a demonstration sport. It will be a medal event in the next edition, in China. India is among the eight nations participating in Jakarta, subject to clearance from the Indian Olympic Association, and will send a team of 10 players for four of the six games: Pro Evolution Soccer, Hearthstone, Arena of Valor, Starcraft II, Clash Royale and League of Legends. The Indian team won the South Asian qualifiers to secure a berth at Jakarta. Though eSports have been around for a while, they were mostly confined to the amateur space. The boom came in the late 2000s, when a lot of professional teams were formed, and participation and viewership surged. More and more teams came up, particularly in the US and East Asia, and pro tournaments began to be held. Slowly, the craze began to spread to other countries, including India. With the proliferation of smartphones in India, and with mobile gaming picking up worldwide—two of the games at Jakarta are mobile titles—the future could hold several golds for India. However, the popularity notwithstanding, many would find it hard to group eSports with regular sports. While some complain about the lack of physicality in gaming, others, especially Indians, have been conditioned to see gaming as a distraction from studies. Overall, there seems to be an inherent unwillingness to place eSports players alongside other athletes. Several other athletes, too, have voiced their support for eSports, which is slowly becoming the most watched form of sport, among teens, worldwide. 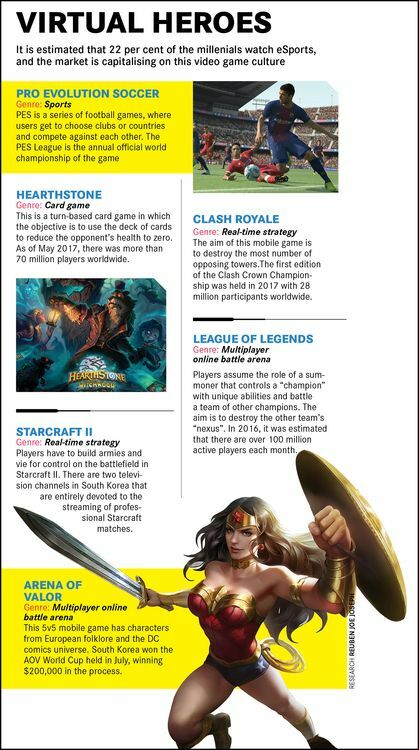 According to ESPN, 427 million people will be watching eSports by 2019, and the big boys of business have taken note. Twitch, a website that live-streams gaming tournaments, has 100 million monthly visitors. Amazon owns it. Google, too, has a rival platform, called YouTube Gaming, dedicated to gamers. And, if that reward is Olympic validation, it might soon come true. Not least because Alibaba Group is an Olympic partner. Interestingly, traditional sports, too, have a finger in the eSports pie. “There are more than 20 FIFA and NBA clubs that have eSports teams,” says Suji. Among them are Paris Saint-Germain, Manchester City, Cleveland Cavaliers and the Philadelphia 76ers. Though Suji is positive of the virality of eSports, there may still be some who are unconvinced. For them, there was a special piece of news from America last week. Remember Fortnite, the game that gave Griezmann his taunt? Apparently, parents in the US are hiring tutors to help their children be better at the game.